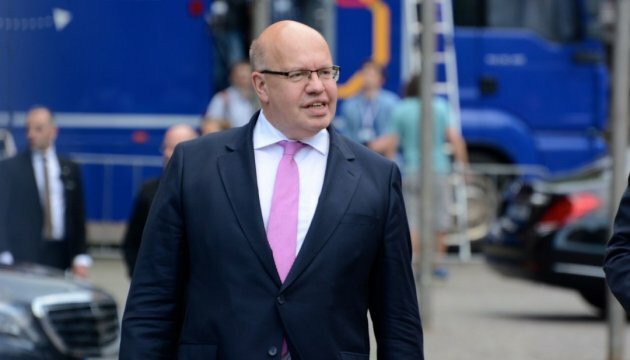 German Economy Minister Peter Altmaier arrived in Kyiv on Sunday evening, May 13. Immediately after his arrival, he held a meeting with the representatives of German business in Ukraine, DW reports with reference to dpa agency. At the press conference in Berlin, which took place just before his departure to Kyiv, Altmaier stated that he intended to call on the authorities of Ukraine and Russia to create a "common energy policy concept." According to the minister, the purpose of his visits is to solve the economic issues on energy and industry amid the difficult international situation. On Monday, May 14, Peter Altmaier will meet with Prime Minister of Ukraine Volodymyr Groysman and Energy Minister of Ukraine Ihor Nasalyk. The main talking point will be the future of the Nord Stream 2 gas pipeline project and Ukraine as a transit country for the Russian natural gas supplies to Europe. Altmaier stressed that the interests of Ukraine should be protected. Then the minister will fly to Moscow for talks.